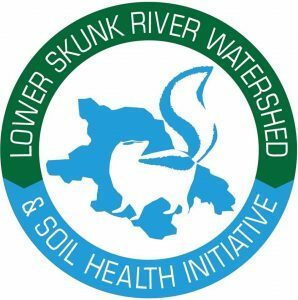 On Thursday, February 7th, 2019, a meeting covering the goals of the Iowa Nutrient Reduction Strategy and water quality trends in SE Iowa, including the Skunk River will be held in Fairfield at the Jefferson County Fairgrounds. This event will be held from 1:30 – 3:30pm in the Activities Building (2606 W. Burlington Avenue). Speakers include Matthew Helmers with Iowa State University Extension and Chris Jones with Iowa Institute of Hydraulic Research – University of Iowa. According to Chris Jones, in his blog on “Economics of reducing nitrate loss” (www.iihr.uiowa.edu/cjones ), “More than 90 percent of the nitrogen transported by Iowa streams is in the form of nitrate (NO3-N)”. That loss of nutrients is one of the reasons for the development of the Iowa Nutrient Reductions Strategy. The strategy is a “science and technology-based framework to assess and reduce nutrients to Iowa waters and the Gulf of Mexico. It is designed to direct efforts to reduce nutrients in surface water from both point and nonpoint sources in a scientific, reasonable, and cost-effective manner” (http://www.nutrientstrategy.iastate.edu/). This meeting will bring together two resources that will give attendees a better understanding of the NRS. Matt Helmers will explain the strategy and how it pertains to Iowans, its goals, as well as an update for the past 5 years with the strategy. Chris Jones will bring it home and talk about the nutrient levels in our community; the Skunk River. The meeting is open and FREE to the public with light refreshments to be served. Attendees will have a chance to win a VISA gift card from Iowa Corn Growers Association. 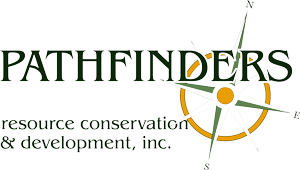 Partners/Sponsors for this event are Henry, Jefferson, Lee, Van Buren, Wapello, & Washington Soil & Water Conservation Districts, Iowa State University Extension, IIHR-University of Iowa, Iowa Corn Growers Association, Iowa Department of Agriculture and Land Stewardship, Clean Water Iowa, and Natural Resource Conservation Service.